Is it time for you to start making money in magic? If you’ve always wanted to take the next step getting paid to do what you love, you need to download this video right now. • How to be the very first call made by event planners in your area. • The secret to putting together a website that books your gigs for you. • The 4 key elements that will make clients keep your business card - and call you. • How much you should charge for your first shows - and when you should charge more. • The 'magic words' that will have restaurants hiring you - and how to keep them on side. • How to work a whole room - and have the organizer notice that you're the life of the party. PLUS - 8 routines that put food on Adam's table, what to do if you lose your luggage and much, much more. With advice and routines that have seen Adam Wilber entertaining the boardrooms of some of America’s most well-known companies, The Working Man contains everything you need to make your passion your professional career. As both the General Manager here at Ellusionist and a full time professional magician, Adam’s days are filled with ensuring we have product to release every month, while his nights and weekends are spent at corporate events, private functions and parties, getting paid to perform. It’s for this reason that we call Adam ‘The Working Man’ - one of the hardest working guys in the business. If there's anyone to learn from about making money with magic - it's Adam Wilber. On every losing lotto ticket is the opportunity to win back some of the money earned by their sale - the ’second chance draw’. The performer has a losing lotto ticket signed by a spectator, and borrows a dollar bill which is also signed. Both lotto ticket and signed bill are placed in the closed hand of the spectator. As the lotto ticket is pulled out of the closed fist, the corner is seen to have changed into part of a dollar bill. When compared with the signed dollar, the two corners inexplicably match. The easiest way to make money with card tricks. A single card instantly changes into a dollar bill as it’s turned over. Both front and back of the bill can be shown - the card has truly become the bill. When the performer's wallet is opened, the original card is found inside. A spectator finds the aces trick based around the theory that the unconscious mind processes imagery much faster than the conscious mind, and with a single peek of the cards, four spectators correctly stop at the exact positions of the aces in a shuffled deck… with a little magical help. Three spectators each choose a card from different positions in a spread, with the cards kept in position. The deck is then shuffled and placed in front of the spectators who are told to each cut to a card. The performer tells them to flip over the top card of each pack on the count of three… and amazingly, each spectator has cut to exactly their card. Two cards are chosen by spectators and lost in the deck. 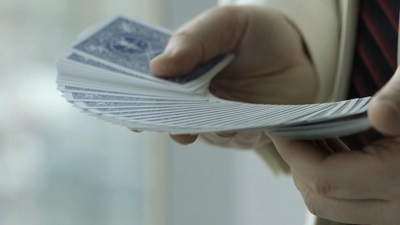 The performer introduces his business cards, placing two of them at the top of the deck before they dissolve through the deck in search of the chosen cards. Spreading through the deck, the spectator’s selections are found… but the business cards have disappeared… until the cards are torn in half - revealing the missing business cards stuck within. Adam’s take on the Anniversary Waltz with an absolutely killer kicker. A ring is taken from a couple and locked away in a box, the 'symbol of love’ that the performer will use to divine the couple’s compatibility. Two cards are selected and signed by the couple before both being placed together in the spectators hands. With a wave, the two signed cards fuse together into one impossible object. When the couple attempt to retrieve their ring from the box, they instead find it’s vanished. Just wait til you find out where it reappears… If you don’t already perform Anniversary Waltz, you will now. The performer begins by introducing the concept of amnesia - whole blocks of memory simply gone from the brain - and that this trick is designed to mimic that condition. 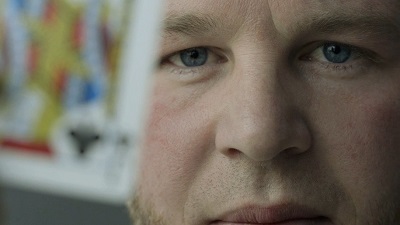 Spreading through a deck of cards, he asks two spectators to each choose a card and commit it to memory, before holding it between their palms. The spectators are asked to name their card at the same time… and impossibly, it’s the same one. The performer explains that he hasn’t ‘stolen’ a memory - he’s instead implanted one. The spectators turn over the cards in their hands - to find they are completely blank. When the deck is spread - not a single printed card is seen. 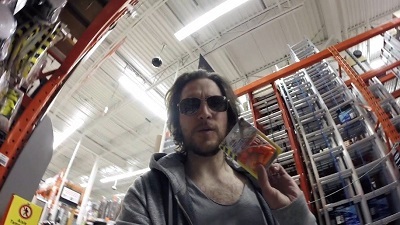 Peter McKinnon sits down to ask Adam a number of FAQs about being a working magician. In this session, Adam tips his real-world advice on everything from how to develop your contacts to how to get booked in restaurants. From the key words to use to guarantee the landing of a gig to how to design your business card to stand out. These are the money-can’t-buy steps that will take you from someone who does magic tricks to a performing magician who gets paid for their work. One of the most horrifying things to experience as a magician is arriving at a gig and finding you’ve forgotten your close-up case, or the airline has lost your luggage - or any one of a number of instances where you no longer have anything you need to perform a magic show. Peter and Adam drop by Home Depot to show you how to put together a guerrilla-style set for under $40 in just a few minutes. Everything from a nail bend to sponge balls, a number prediction routine to charming Chinese challenge - more than 2 hours worth of material that will get you out of a tough spot and keep your client happy. Adam talks you through one of the concepts from his wildly successful ‘Creative Magic’ book, ‘Environmentally Unfriendly' - and even shows you where to get the things you need - something Adam’s been asked about ever since the book was released. This is a great, near-impromptu routine to pull out when you’re at a house party. In over 2 and a half hours of performances, explanations and discussion, Adam gives you the formula you need to book up your month solid with paid gigs. These are real-world, tried and tested routines, advice and performances that have put food on Adam’s table for the last 15 years, shared with you for the first time.